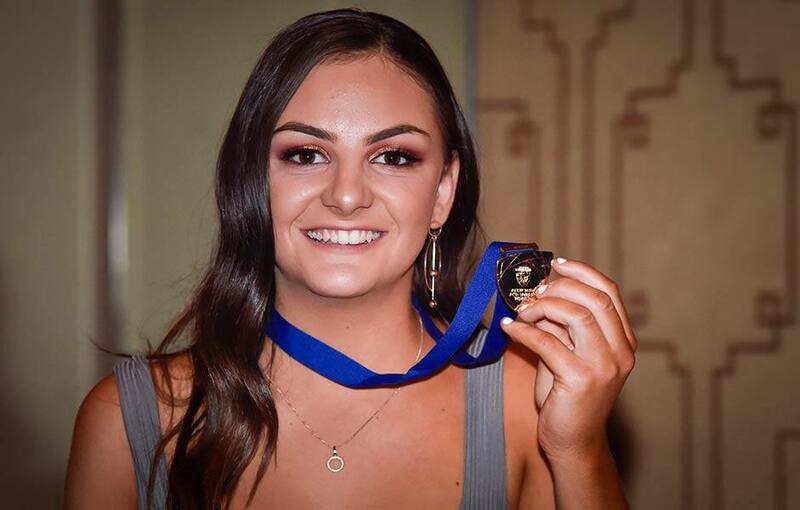 Monique Conti has capped off an outstanding season, claiming her first Western Bulldogs AFLW Best and Fairest on Thursday night at Crown Palladium. Conti finished the season on 161 votes, winning by 5.5 votes from Ellie Blackburn, while Aisling Utri was third with 136 votes. Blackburn was leading the count by the end of Round 4, before Conti surged ahead in the final three rounds. Conti enjoyed a dominant second season in the red, white and blue, where she led the Club’s per-game averages in disposals (18), contested possessions (11) and clearances (four), while finishing second behind Blackburn for total inside 50s (16). In a fantastic week for the 19-year-old, she was named in the AFLW All-Australian team, and also received the Club’s Best Young Player award for the second straight year. Blackburn maintained her incredibly high standards in season 2019, playing seven games and averaging 17 disposals and four tackles per game, while kicking two goals. Utri’s second AFLW season was her best to date, with the 21-year-old cross-code athlete playing every game, kicking four goals and averaging 11 possessions per match.